To investigate the cancer cell lines response to different compounds, we propose you to measure the effect of the compound on cell growth inhibition. We use a Cell Titer Glo Luminescent Assay to quantify this cell growth inhibition and we determine the median inhibitory concentration (IC50) of each cell lines using GraphPad Prism. We can also use the different inhibitors IC50 already evaluated in our panel of cell lines and compare to your specific inhibitor. Our cell lines have been thoroughly characterized using microarrays, RNA-seq, Exome-seq, SNP analysis, DNA methylation analysis, miRNA and Chip-seq. 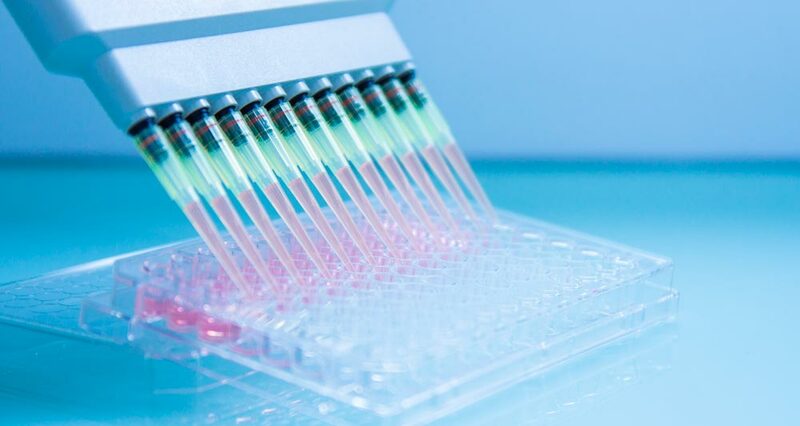 In addition, immunophenotypic and cytogenetic characterization of all HMCLs have been carried out. However, we offer you the possibility to investigate drug resistance and associated mechanisms of action. We use our collection of primary cells from patients with various hematological malignancies to investigate the effect of a given drug. In our assays, primary cells are cocultured with their bone marrow microenvironment and with increasing doses of the therapeutic agent investigated for 4 days. We analyze the toxicity of tumor cells and normal bone marrow cells by flow cytometry. With our methodology, we can also investigate the effect of the drug on cell cycle progression using BrdU incorporation and DAPI staining by flow cytometry. Other cytogenetics abnormalities could be analyzed and provided following your requests. A collection of wide variety of primary samples from patients with hematological malignancies. Investigation of the best drug combinations.